Many companies utilize in-house recruiting practices to find new talent for their team, unaware of the costs regarding lost resources. Between recruiting, interviewing, onboarding, and training new employees, the process is both time-consuming and expensive. Ultimately, it puts unnecessary strain on Human Resources (HR) and hiring teams. More and more, companies find that by leveraging the expertise of staffing and recruiting firms, they can eliminate the hours and expenses associated with the in-house recruitment processes. 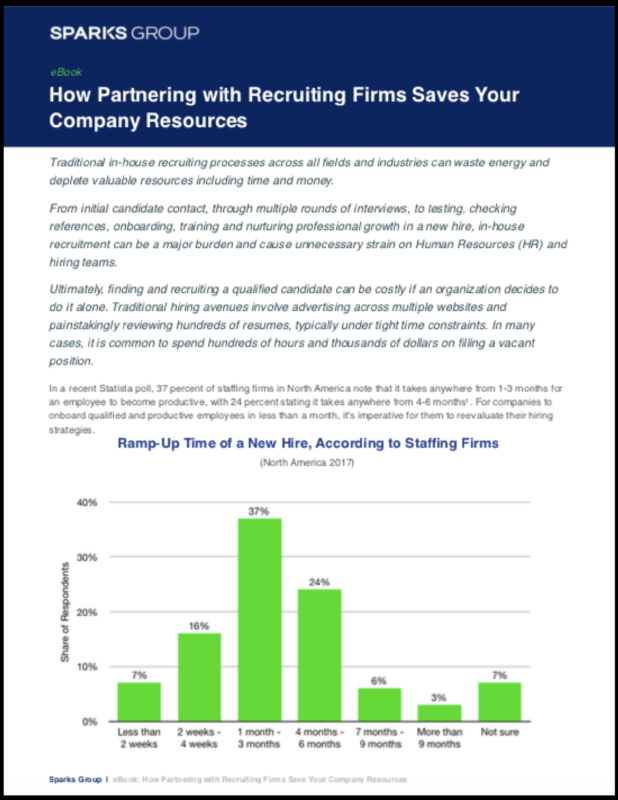 Download our free eBook and learn how partnering with a staffing firm can reduce the time and money spent on in-house recruiting while also improving your talent pool and employee retention rates.